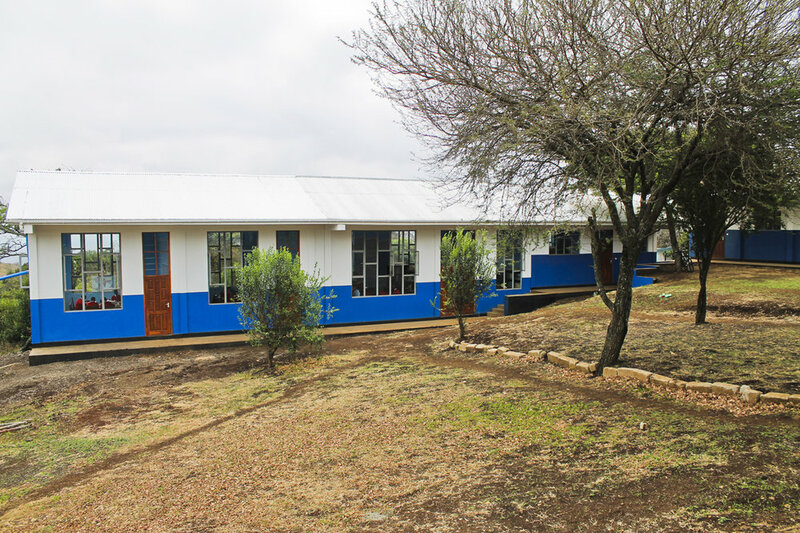 Orkeeswa School required the construction and furnishing of the school’s only A-Level classrooms, particularly to provide female students with two more years of a secondary level curriculum. Build 2 additional classrooms to accommodate A-Level students and add technology components. 25 additional female students enrolled in A-Level classes per year. Only 30% of rural females within the Monduli population are literate. Particularly in this underprivileged region, access to secondary education is greatly diminished and cultural practices significantly disadvantaged female students. In progress with additional projects to come. Construction began March 2015 with deadline of July 2015. Currently only 10% of the population receives secondary education in Tanzania, because the government does not fund education beyond primary school. For every 100 boys who complete secondary education, only 83 girls do the same. The need for education is much more significant in rural areas. For example, in the Monduli district of Tanzania, approximately 45% of rural males over 14 are literate, while only 30% rural females are literate. Located in the Monduli district is Orkeeswa School, which was founded in 2008 and offers O-level (the first four years) and A-level (the next 2 years) secondary education to the surrounding community. Orkeeswa School is run by the Indigenous Education Foundation of Tanzania (IEFTZ), a non-profit organization that was founded to support the opening and development of the school. Orkeeswa is the only secondary school within its catchment area, and the faculties of Orkeeswa both provide education for the female students, as well as work with girls and their families to prevent dropouts due to pregnancy and early marriage. Orkeeswa currently has no classroom space to accommodate its newest class of A-level students who will commence their Form 5 year in July 2015. This class includes 8 female students, and Orkeeswa’s eventual goal is to have 20 female students continue onto A-level each year, with a five-year goal of 100 female students completing A-level. Circle of Women will help support the construction and furnishing of A-level classrooms and the installation of technology into the classrooms at Orkeeswa.